Fossils of six new species of pterosaurs - giant flying reptiles that flew over the heads of the dinosaurs - have been discovered by a research team led by the Milner Centre for Evolution at the University of Bath, revealing that this lineage was killed off in its prime. 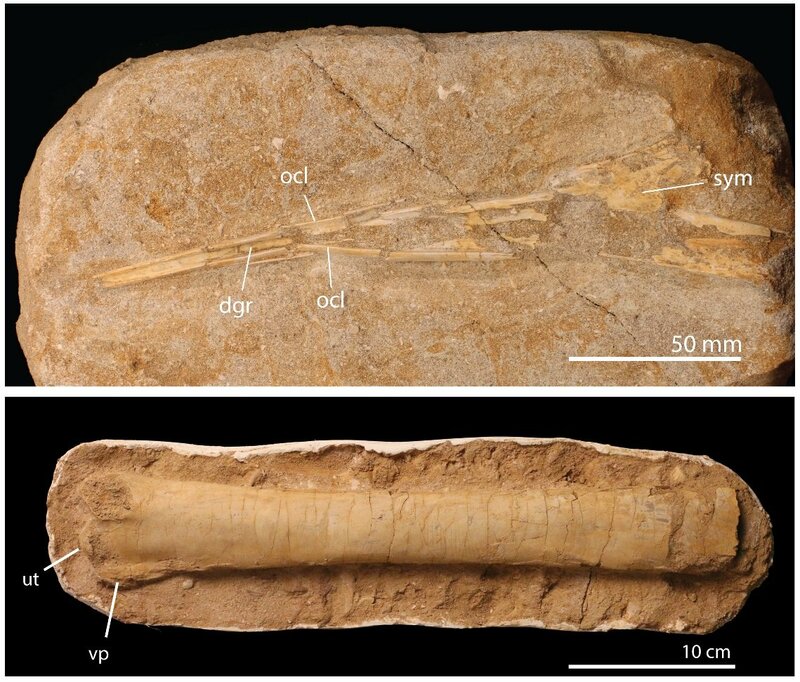 An analysis of the fossils, publishing 13 March in the open access journal PLOS Biology shows that, contrary to previous studies, there was still remarkable diversity among pterosaurs up to the point of their extinction. Pterosaurs - prehistoric reptiles popularly known as pterodactyls - were flying cousins of the dinosaurs. Soaring on skin wings supported by a single huge finger, they were the largest animals ever to take wing. The pterosaurs were previously thought to be declining before the mass extinction at the end of the Cretaceous period, which was caused by an asteroid impact 66 million years ago. 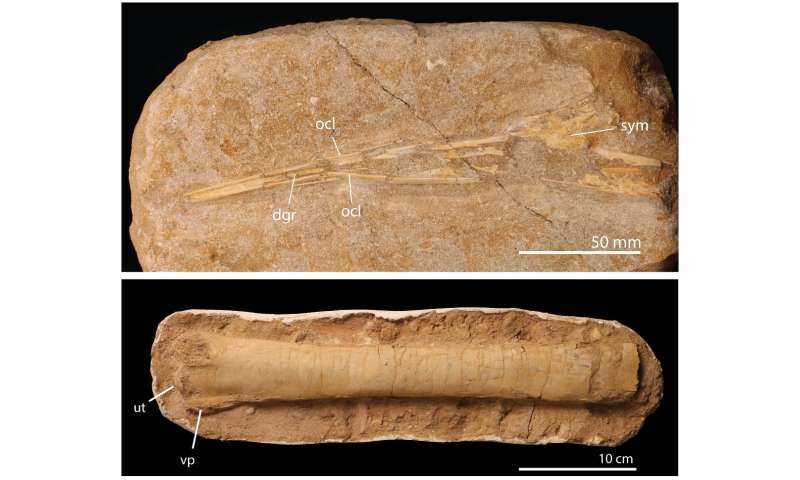 However, hundreds of new fossils from the end of the Cretaceous, discovered at sites in northern Morocco, show that the region supported seven species of pterosaur from three different families. It was thought that the rarity of pterosaur fossils from the end of the dinosaur era meant that they were slowly going extinct. But the new study shows that the data had been misleadingly skewed by the dearth of fossils and that the pterosaurs at this time were actually far more diverse than thought. The new pterosaurs ranged in wingspan from a little over two meters to almost ten meters (from 6 to 30 feet) - almost three times bigger than the largest living bird - and weighed up to 200 kg (440 pounds). The fossils date to just over 66 million years ago, the very end of the Cretaceous period, making these pterosaurs among the last of their kind on Earth. As well as the diversity in size, the authors were also able to show that the species differed significantly in the shape and size of parts of their bodies (such as beak shape, neck length, and wing proportions), suggesting that they occupied distinct ecological niches. Dr Nick Longrich, from the Milner Centre for Evolution and the Department of Biology & Biochemistry at the University of Bath, and the study's lead author, said: "To grow so large and still be able to fly, pterosaurs evolved incredibly lightweight skeletons, with the bones reduced to thin-walled, hollow tubes like the frame of a carbon-fiber racing bike. "But unfortunately, that means these bones are fragile, and so almost none survive as fossils." Longrich said he had always found pterosaurs fascinating, and as a university student had dreamed of studying them. Years later in Morocco, he would stumble across a single, small bone mixed in with fossil fish dug up from a phosphate mine. "It was like a light went off," he said. "I remembered back to the Illustrated Encyclopedia of Pterosaurs, a book I'd practically memorized as an undergraduate. And I thought 'that's a nyctosaur.'" Nyctosaurs, a family of small pterosaurs, hadn't been proven to survive to the end of the Cretaceous. On a hunch, he looked for more pterosaurs, and found more species - including Tethydraco, a member of the pteranodontids, a family that had been thought to disappear fifteen million years earlier. In addition to the single species previously found in the area, six additional species turned up. "I believe there are many more species to find," he said. Co-author of the study, Professor David Martill from the University of Portsmouth said: "Exciting discoveries are being made all the time, and sometimes, just the smallest of bones can radically change our perception of the history of life on Earth." Dr Brian Andres, Research Associate at The University of Texas at Austin, also a co-author of the study, added: "The Moroccan fossils tell the last chapter of the pterosaurs' story - and they tell us pterosaurs dominated the skies over the land and sea, as they had for the previous 150 million years." Moroccan paleontologist Professor Nour-Eddine Jalil from the Muséum national d'Histoire naturelle, France commented: "This is a fabulous discovery of pterosaurs from Morocco - they tell us their amazing diversity while we thought them in decline. "The Moroccan phosphates are an open window on a key moment in the history of the Earth, one that shortly preceded the global crisis that swept away, among others, dinosaurs and marine reptiles." Pterosaurs should have been too big to fly – so how did they manage it?